I was touched yesterday by two events. The bombings in Brussels seem so wrong, so passé, so outdated, so stupid, so brutal. Anyone can destroy, that's easy. Go on, kill yourself. But don't take other people's children and parents with you. That's psychopathic destruction. A match can burn down a house; sugar in the gastank can fry an engine; a casual infidelity can wreck a marriage. Building, that's what's hard, that's what takes so much time and effort and overcoming failure. Maybe a whole lifetime hoping what you're doing is right and never knowing. Think of your grandparents working long and hard for a better life for their grandchildren -- you. They deserve our attention and our gratitude and a resolution to carry on that building, no matter how overwhelming the problems we face / we created (see climate change). The other thing that moved me was watching the baseball game between the Cuban national team and the Tampa Bay Rays. 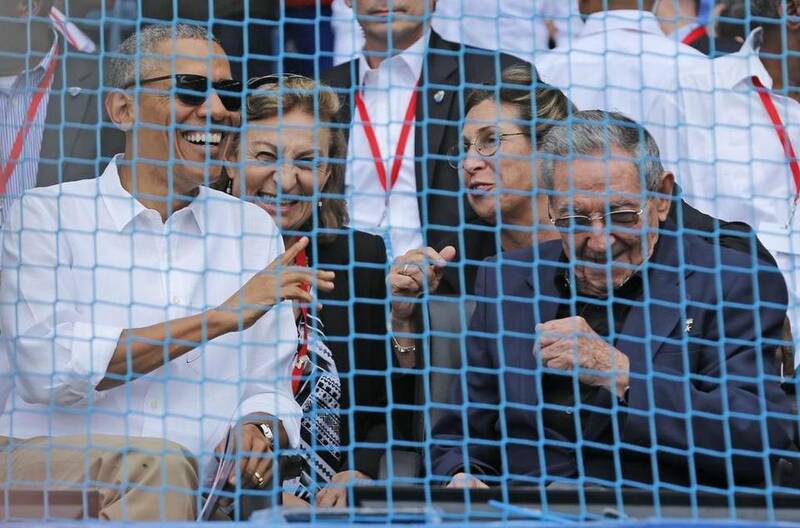 Barack Obama and his family sitting next to Raul Castro watching our mutual national sport together is such a triumph. The interview he gave from the stands was inspired. An African American president at a ballgame in Cuba with John Kerry (Vietnam Veterans Against the War) sitting behind him near Jackie Robinson's wife (42) seemed like a summary of my life of over 60 years. Plus Jimmy Carter's dream of baseball diplomacy that Reagun cheated him out of. 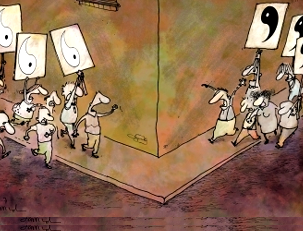 Back in the 60's and 70's, we sang We Shall Overcome without going into specifics, but we knew what we meant. We hoped that wars would end (most have), we hoped that a black man might someday become president (though I doubted I'd ever see it), by the way, the best president of my lifetime, and we hoped that nations could come together freely and hash out their differences with words and sports. Thank you, Mr. President. Mutt and Jeff are on assignment. Kruk and Kuip will substitute for them.